The “-Cardinality” parameter specifies whether a single or multiple tags from this category can be applied to the same object at the same time. If you don’t specify it the default is “single”. The “-EntityType” parameter allows you to specify the object types to which you can attach tags from this category. If you omit the parameter by default the category will be applicable to all supported entity types. The full list of supported entity types is: VirtualMachine, VM, VMHost, Folder, Datastore, DatastoreCluster, Cluster, ResourcePool, DistributedSwitch, DistributedPortGroup, VirtualPortGroup, VApp, Datacenter, All. Modifying an existing TagCategory is done through Set-TagCategory cmdlet. You can change its name, description, cardinality (you can only extend it to “multiple”, restricting it to “single” is not possible) and add more entity types (again you can only extend the applicable entity types). Removing a tag is done through Remove-Tag cmdlet, similar to removing a category. When removing a tag you will automatically remove any assignments of this tag. Now that you know the basics, let’s do something more advanced. If you have created all your tags with a script using the above commands it’s very easy to run this scrip on another vCenter Server in order to replicate all tags on that server as well. But if you created them by hand how can you replicate them on a different VC? Well, here is one solution, using the attached script “ExportImportTags.ps1” you will be able to export your tag configuration from one VC and then import it to another (one or multiple). That’s it! You now have the same tag configuration across all your VCs. Once the function completes you will have tags matching your existing custom attribute hierarchy. If you like you can remove the old custom attributes. 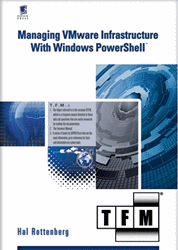 This post was created by Dimitar Barfonchovski.Dimitar joined VMware and the PowerCLI team in 2007. He is member of the development part of the team and his main responsibilities are the functional design and implementation of features for the vSphere and vCloud PowerCLI components. As with all members of the team, he is working to deliver a good and valuable product. He is also working to improve all processes and tools involved in the product development and validation. I am unable to get this to work. I am very new to powerCLI and to CLI in general. I run the script, connect to the server, I don’t know what to do next as Export-Tags isn’t recognized. I am just trying to export the tags from one domain’s vcenter to another domain’s vcenter. this simply didn’t work at all. I used the Export-Tag (no ‘S’) and nothing happened. no error, but no result. run Export-Tag function with 2 params. – Export-Tag –Server $sourceVC –Destination C:\vc1_tags.txt == nothing. I have full admin rights within vsphere, local system running the script and on VC Server..
I’ve never met a PS Script that worked as posted, that streak continues here…. Is there a way when running the report for VM’s and their tags to put a comma between each tag to make the report more readable? Besides that, awesome article. We are finally getting around to 5.5 and this has helped implement tagging in our environment. I saw view objects have Tag property but it is empty no matter tag is assigned to object or not. Is it just reserved for future use or it’s a bug? Is a tag assignment assigned to an inventory id? If I remove a Vm from the inventory and then readd it will it lose its tag assignments? I have a question. If there’s a way to export tags, why isn’t there to properly back them up? I just had to re-install my VCenter and lost all tags; I called support and they’re saying that I have to manually type them in – even with a backup/snapshot of my VCenter server these can’t be restored. This makes no sense, and it’s poor thinking from VMware. Is this supposed to be ran line by line. I still get an error. This is what I am doing. I still get the following error. I am not sure what else I should try? I am tagging my environemnts now. the isue i am facing is that I need the tag name to be same in both Development and Production environemnt.however they will be tagged to different entities. but when i run the New-tagassignment cmdlet it throws an error which says that there are 2 tags with the same name . how do i resolve this error.